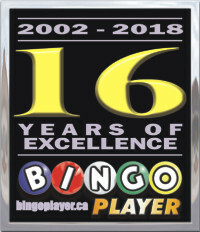 Welcome to our Ontario Bingo Halls listing page. Click any Hall name below to find current schedule and promotion information. If you would like to see information about any other Ontario Bingo Centre on our Bingo Player website or in the printed magazine, please advise the Hall’s Owner/Operator or Head Manager — and let us know, too!